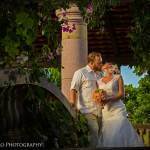 Sarah Rosario is one of the most experienced and well-respected wedding planners in Puerto Rico, and her vast local knowledge and attention to detail make her an expert on wedding day do’s and don’ts, especially when it comes to making your Rincon PR wedding as stress-free as possible. The following are seven helpful tips from professional wedding planner, Sarah Rosario, and her staff at All Events PR, to help you avoid any wedding-day disasters and plan a fun and memorable destination wedding! 1. Avoid involving family and friends in the set-up and break-down process. Of course, your loved ones are going to want to help out with decorations, flowers, centerpieces, et cetera, especially if you plan to do most of it yourself. 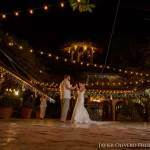 However, when it comes down to it, they are also going to want to cut loose and have a good time without being bogged down with work, especially if it’s a destination wedding in Puerto Rico. 2. If you’ve hired a wedding planner, consider his or her advice when it comes to vendors. Some brides, especially the DIY types, prefer to make their own decisions regarding wedding vendors, but most wedding planners have reliable vendors in mind that they’ve worked with before and would like you to consider before any others. This is especially true for destination weddings where you most likely aren’t familiar with the local vendors. 3. Give your bridesmaids some guidance in terms of what dresses to purchase. No doubt each of your bridesmaids is going to have her own sense of style, which means they may not all like the same bridesmaid dress. However, in order to ensure that they look cohesive in your wedding pictures, your best bet is to choose a color and length from the same designer’s line of dresses, and then allow them to choose their own style. 4. 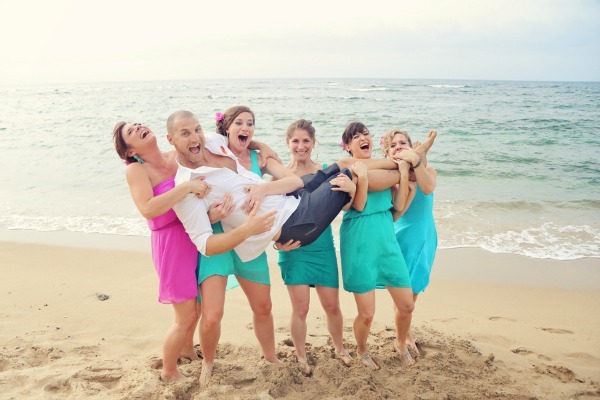 Follow your wedding planner’s schedule to ensure that your day goes off without a hitch. It’s easy to put off writing your vows and choosing the music for your ceremony when you have a year to plan your Rincon Puerto Rico wedding, but when your big day is suddenly three months away, you’re going to regret not taking advantage of all that time you had. Stick to the schedule set up by your wedding planner (the professional), and you’ll have plenty of time to get it all done. 5. Choose a cohesive wedding theme before you start shopping for favors and décor. Sure, those centerpieces and welcome bags are adorable, but do they fit the overall theme of your wedding? Some brides are too quick to make purchases when they see something they like, even though it may not really work with their wedding-day décor. 6. Avoid inviting more guests than you can afford to have accept your invitation. It’s a common practice for couples to invite 20, 30, or even 50 more guests than they can afford to seat at the reception, assuming that plenty of people will be unable to attend. This is a disaster waiting to happen; should all of your guests accept your invitation, you’ll have a hard time explaining why there aren’t enough seats. 7. Always communicate directly with your wedding planner, no matter how busy you are. Familiar with the phrase “lost in translation?” This may end up being the case with your wedding plans if you designate someone as the “go between” for you and your wedding planner because you’re too busy. No matter how clearly you explain what you want to the third party, you can’t be sure that your wishes are being properly communicated to the planner, which, in most cases, is a recipe for disaster.